Despite the importance of transport within the supply chain, it has traditionally been treated as a separate functional silo within businesses. More recently, there has been increased recognition that transport needs to be integrated into the supply chain. 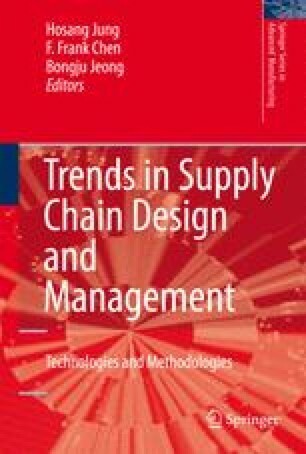 This chapter considers the role of vendor managed inventory and demonstrates how it can be used to improve both transport and supply chain performance. With VMI control, inventory across the supplier/customer interface (including transport) is managed holistically. Scenario analysis is carried out via simulation and through a case study from the U.K. grocery sector. Among the benefits identified are control of the bullwhip effect, improved customer service, lower transport costs, and improved vehicle fill. In addition, it is found that VMI is particularly effective during times of pressure within the supply chain.